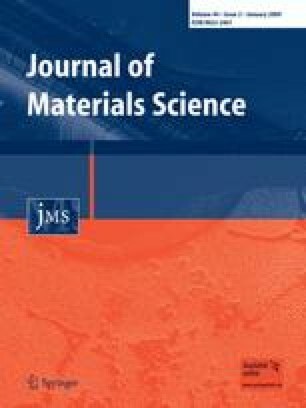 A novel nano-sized copolymer nanofilm provides a unique reinforcement to the mechanical properties of natural textiles. This study reveals that a nano-sized coating provides a strong healing effect to resist the crack propagation of natural fiber surfaces. As little as 0.15 wt% addition of the nanoparticles to the cotton surface improved the fabrics’ tearing resistance by 56% and abrasion resistance by 100%. Surface analyses (SEM and AFM) demonstrated that the nanoparticles formed a uniform monolayer and after heat treatment the monolayer nanofilm covalently bonded to the substrate. This nanofilm is reliable in repeated washes due to its covalent bonding. Using time-of-flight secondary ion mass spectroscopy (TOF-SIMS), we studied the reactivity and phase-transition process of the nanoparticles as they transformed into the nanofilm. The study demonstrates the active role of the N-methylol group and the primary hydroxyl group toward the cotton surface, which modulate the rupture process of the fiber substrate; meanwhile, it demonstrates the positively charged nanoparticles have an excellent dispersibility on the negatively charged cotton surface. The result opens the possibility for various textiles to enhance their properties via an electrostatic affinity and covalent bonding of functional nanoparticles. The online version of this article (doi: https://doi.org/10.1007/s10853-008-3094-z) contains supplementary material, which is available to authorized users. This research work was partially supported by ITF (Hong Kong) grant No. 109.